Happy Wednesday lovelies! 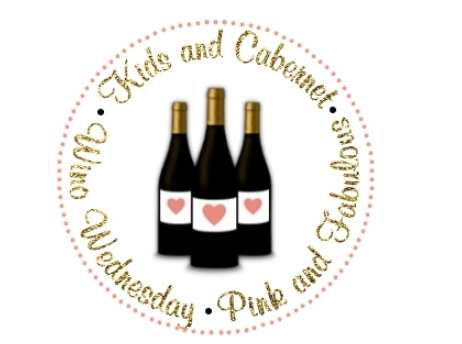 I'm linking up with my love Amanda for Wino Wednesday! Join the party! 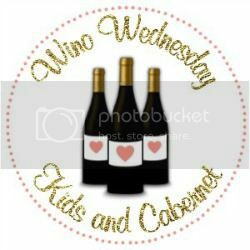 This month, Josh Cellars Cabernet Sauvignon has been on repeat in our house. Sure, my husband initially started buying it because, duh, Josh, but we really like it. It's easy to remember and find, and you can get it on really great sales. It's mild and yummy, full of flavor, but not in your face. I keep ours chilled because I just prefer it that way. The background story on the family and the wine is super interesting too - you can read more when you click the link! Speaking of vino, my bar cart is in need of some serious help. I have been trolling Pinterest for inspiration but nothing is screaming at me yet. That will be this week's project - whilst sipping some Josh wine of course! 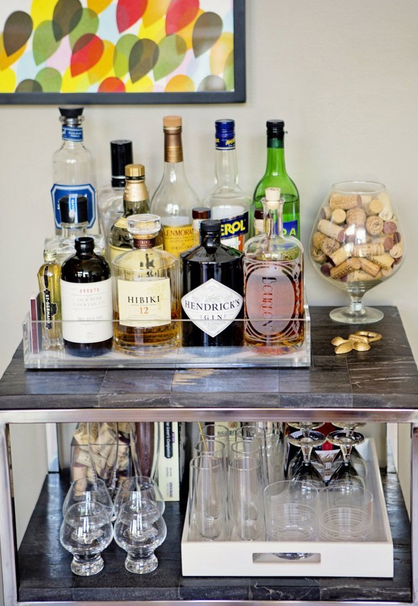 We've been talking lately about getting a bar for the house, or at least a bar cart. We need somewhere to put our booze other than the kitchen counter lol. 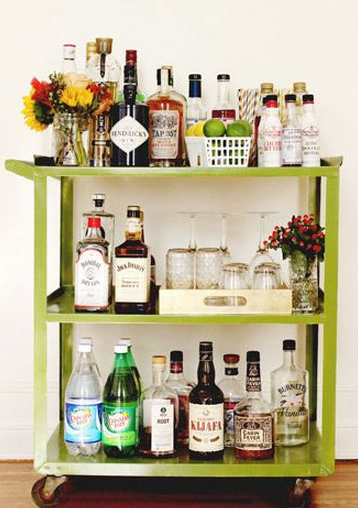 I need a bar cart in my life SO bad! I keep telling myself when I get a new house I'll get one but all the amazing Pinterest inspiration makes me want one now LOL! 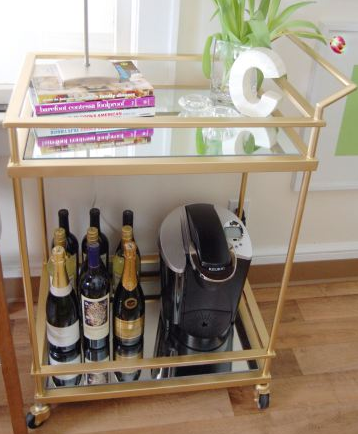 My bar cart was seriously one of my favorite purchases of 2014 - which I'm sharing in a post tomorrow, ha! I'm obsessed with the thing! 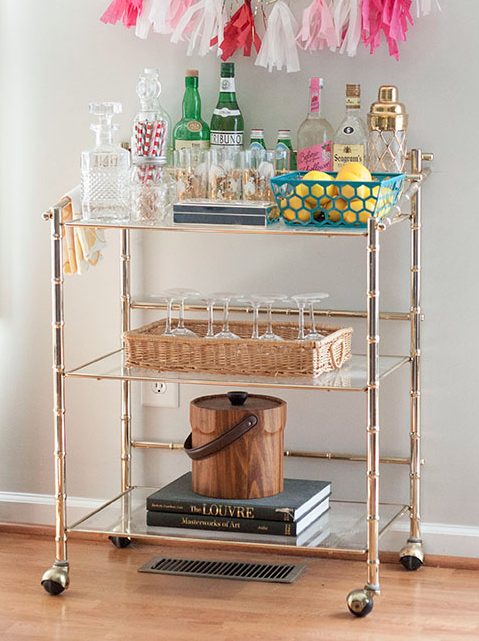 Bar carts are so cute! I love our wine bar, but I am definitely jealous of all the cute bar carts I see. Not sure I've had the Josh cab, I'll have to keep and eye out in the store. I will have to check that wine out...cab savs are my fave! I have a whole bar space board on my Pinterest, check it out! Fa, la, la, la FRIDAY!